Calling an 0845 / 0870 number on your mobile. Here, fixed that for you. We’ve all been there haven’t we? You need to call the bank, gas company, the insurance company, an airline or even that special clinic and.. oh.. it’s an 0845 number.. or an 0870 number. A few years back I had to call a recovery truck after I inadvertently parked my car underneath a Range Rover. The RAC turned up but wouldn’t tow my newly-customized vehicle off the M6, so I cancelled and joined the AA, then called them out about 10 seconds later. They would tow a cat that had been in a crash, but the RAC wouldn’t at the time. I figured I was being clever, but when I got the bill for all the 0870 / 0871 / 0845 numbers I could’ve perhaps fixed the damage myself. Yes, if you have the time it’s always a good idea to call 08XX numbers on your home phone if you can. It’s cheaper generally, but some mobile networks have already started making changes (like Three, who offer free 0800 numbers) because – call us silly – but we KINDA EXPECT calls to these customer service lines to be priced sensibly. To cut a long story short, if you’re calling an 0800, 0845, 0844, 0843, 0870, 0871 and 0872 number on your mobile it could end up costing you 30p a minute. Now yes, you may have already stumbled across the various SayNoTo0870-type apps available on the various markets, but if you dont want to install an app, just save this number on your phone. 03 numbers, like 01 and 02 numbers, are included in your bundled minutes. It’s the law basically, check out the Ofcom page about it.. So, you can call this number and it’ll just come out of your bundle – just as if you were calling your Auntie Milly. After you get through, just enter the 0845 / 0870 / 0871 number you want to dial an it’ll route your through straight away. 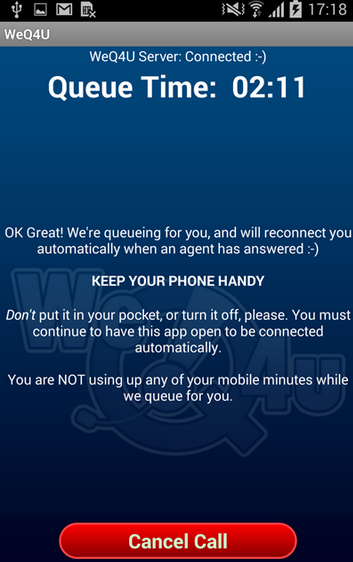 The clever bit with this particular operation (called WeQ4U), is that they’ll call you back if you’re in a big hold queue. Once you’re in a queue, just press 9* to disconnect and it’ll call you back when it connects. How does it work? Well, they have an Android and iOS app too but the GUI looks like vomit, so probably best to just save the number in your phone. It’s basically a system, like the “0870 alternative” apps, which looks up the “real” numbers that the 0845 / 0500 / 0870 numbers route through to. For example, if you’re calling those utterly terrible people at NPower because, for example, they’ve been unable to produce a bill for your electric usage for 4 months, you could call 0845 078 0037 on your mobile, but the landline number is actually 0121 336 3101. 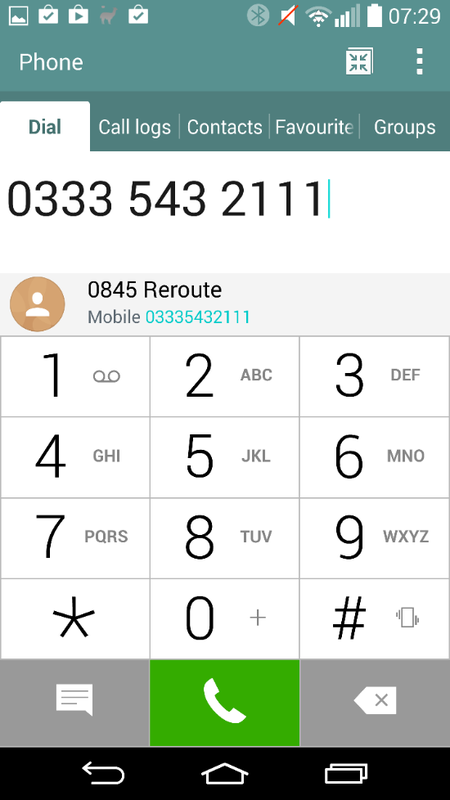 The app or the 0333 5432111 number routes you through to that without you knowing or having to do any fiddling around. So, next time a company gives you a 0870 or 0845 customer service number, don’t let it cost you extra – whack it onto your inclusive minutes by calling 0333 5432111 first.